This is my miniature steel adjustable spanking bench. Don’t let it’s size fool you. 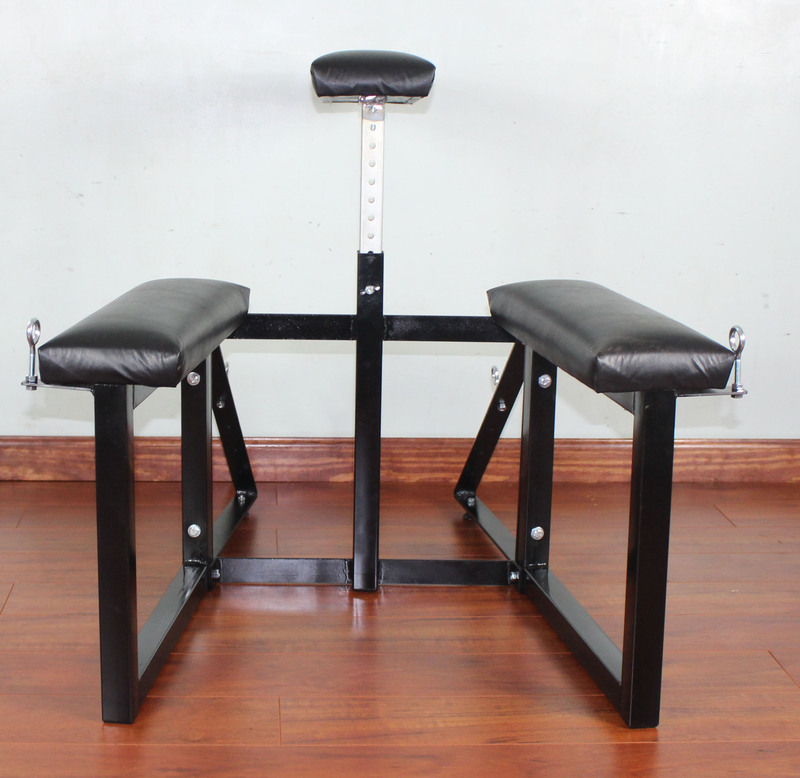 This is a heavy duty bench made of welded steel. It will hold up to 250 lbs. It is made from 1 ½” square steel tubing. The height of the chest rest can be lowered to accommodate a spankee who is only 5’ tall, or raised to handle a spankee up to 6’ 6” tall. The knee pads, and chest rest are 6” wide covered with 2” thick foam padding and topped off with a durable black vinyl. Has plastic caps on the bottom of the steel tubing that allows the bench to be used on wood floors without scratching it. There are eye bolts on the back end of the knee rest for attaching ankle cuffs. There are also eye bolts attached to the angled front steel bar for attaching handcuffs. These eye bolts can be installed in multiple locations, to allow the arms to be either relaxed, or stretched. 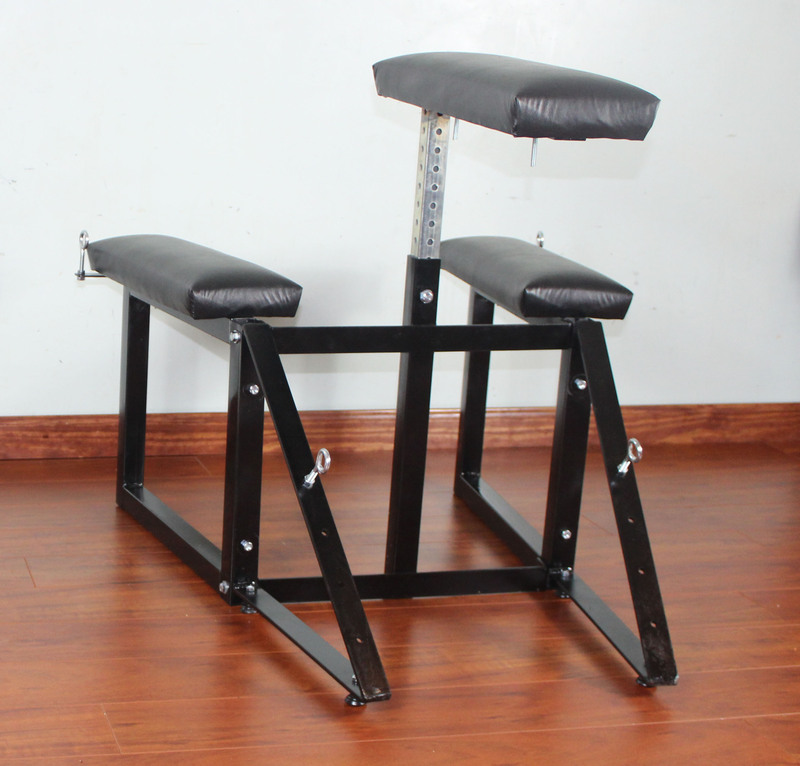 This bench can be easily disassembled and place in a closet or under a bed. It will also easily fit in the trunk of a car for transport. 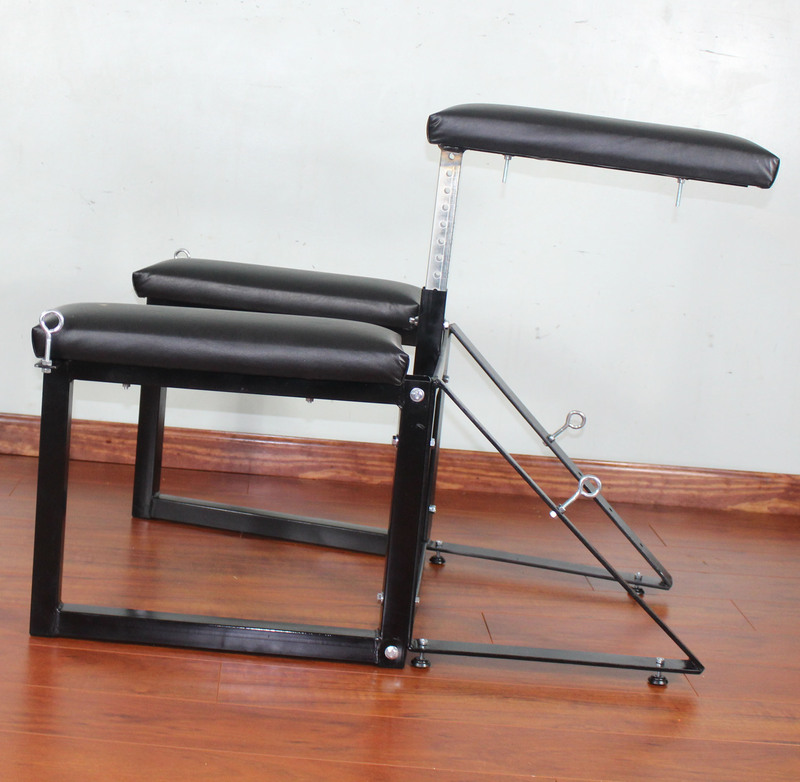 The knee rest are mounted at an angle to spread the legs apart so that a person can easily stand between them. This bench is idea for small apartments, or where space is limited.